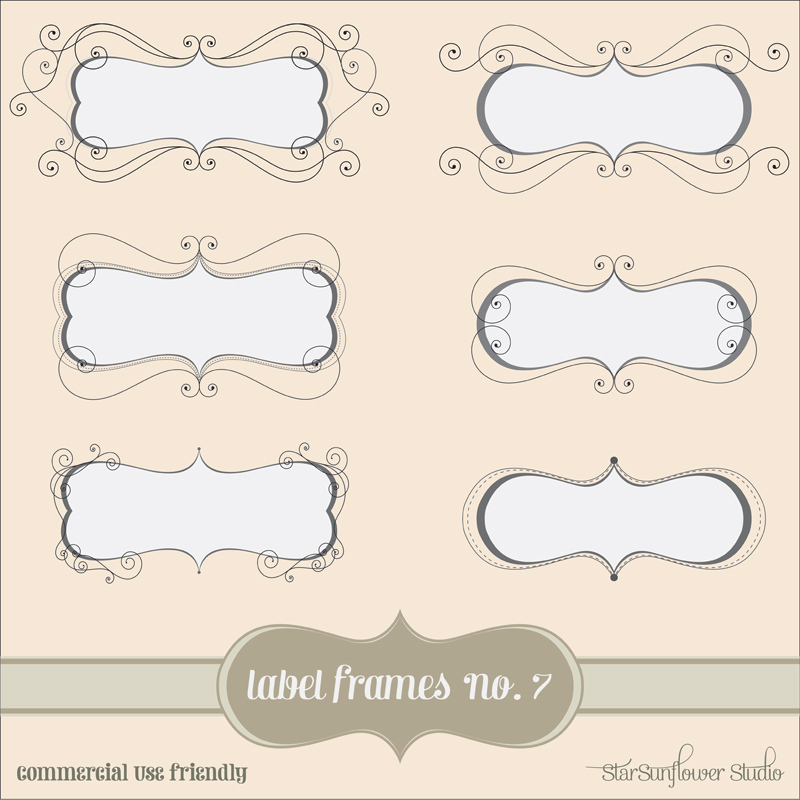 Up for grabs today is a set of CU4CU papers/textures nd a border frame template to go with it. I’ve also added a png clipart doodle frame to go with the papers. 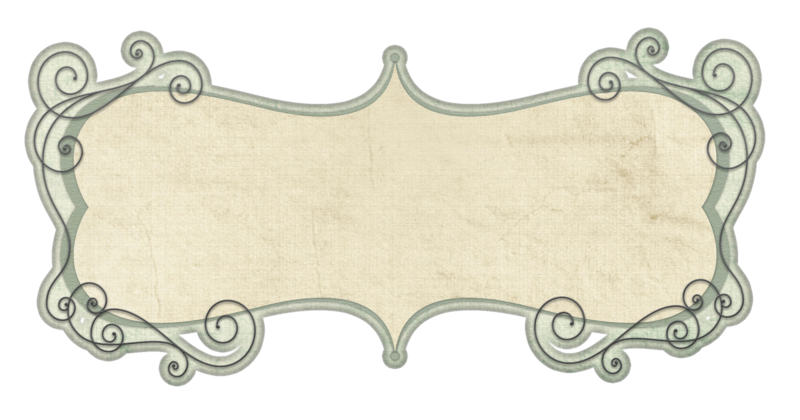 The new doodle frames and border packs I’m making have vector (EPS, AI, SVG, PDF) and PSD included so you can scale them to whatever size you need if you have a program to edit vectors. The PSD format is scale-able in PS as a vector smart object which is backwards compatible up to CS2. 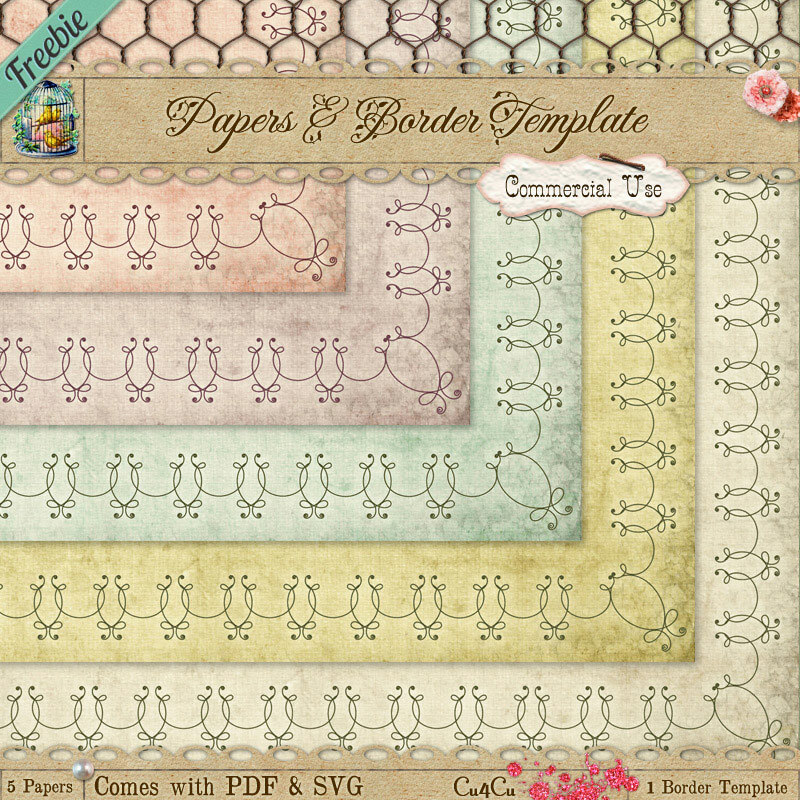 Here are the CU4CU papers and doodle frame template. You’ll have to grab this pack from the shop, as it’s a 25 meg download. took the free one and i might use it for my new header! i love it, thanks! Thanks – I like the sample frame to try. In hindsight I probably should have posted the frame by itself so people who just want the template can grab it. I'll probably package things separately in the future. Thanks for the comment! The label on offer is jaggy at 100%. I'd like to know that the ones in the shop are perfectly smooth before purchase. @Esther I don't see a way to contact you. Send me an email at su[at]starsunflowerstudio.com and I will send you a sample so you can check it out. The non uniform edges may be because I used a stroke on a merged layer for the freebie. I'd be glad to send you a sample with layers if you are interested in purchasing. Purdy! LOL That style of yours is so elegant! Thank you! Thank you for the frame. it is very elegant! Omg woman, I do hope you hurry and get to that font making venture of yours! These are gorgeous borders! I am sure that your dingbat as well as 'regular,' typeface designs would be exquisite, and I look forward to seeing them. @Lauren Aww… I definitely still have a few things to learn in the realm of font creation. A compliment from you, an amazing font designer – gives me the courage to keep going… Thank you so very much! Su welcome back to the crafts blog hop! I miss you! As usual your art is gorgeous! I just noticed i was not following you, my bad. I am now! Hopefully you can follow back. Still in love with my button! Thanks! Thank you for your wonderful designs…. This one is really pretty…loving it! Love this cute freebies..thanks ! !